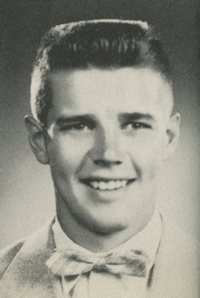 Obituary – VanBebber, Gene Warren « Perry High School Alumni Association, Inc.
﻿Gene Warren VanBebber, 79, passed away, Friday, March 23, 2018, at his home. Gene was born February 10, 1939, in Oklahoma City, OK to Glenn VanBebber and Shirley (Wood) VanBebber-Morton. 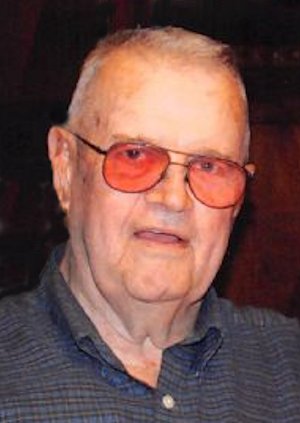 He grew up northwest of Perry on the VanBebber homestead, attended Whipple and White Rural Schools, and graduated from Perry High School in 1957. In high school he was involved in FFA and Perry Wrestling. After graduation Gene began working with his father in the oil field construction industry and began roughnecking in the Perry area. On July 11, 1959, Gene married his high school sweetheart and neighbor Claudine Dayton. They had three daughters and continued to live in Perry. While roughnecking in the Perry area Gene was provided the opportunity to go overseas and drill for Aladdin Petroleum. He worked in such countries as Nicaragua, Nigeria, Turkey and Saudi Arabia. Gene enjoyed the adventure of working oversea but knew he needed to be home with his family. Upon returning to the United States Gene continued working in the oil industry but knew he wanted to work for himself. In 1972 Gene and Claudine created GVL Corporation, named after their daughters. His company provided dirt, sand, and civil services to the agriculture, commercial, and oil industries. One of his first jobs was providing the civil dirt base for the new TG&Y being built in Perry, OK.
Gene’s longtime friend Moe Jerome helped him with this project and many more after that. Over the years GVL Corporation grew large enough to provide services for large oil companies such as Teneco, Bonray, and Basin all across the state. At the turndown of the oil industry in the 1980’s Gene turned his attention to his cattle ranch. He had a cow/calf and stocker operation west of Perry. In the 2000’s Gene could not ignore his calling to the oil industry and once again GVL Corporation began working for midstream gas companies demoing and cleaning up oil field sites. With the help of his wife Claudine, Gene expanded his company work area to include projects not only in Oklahoma, but Texas, New Mexico, Kansas, Louisiana, and Arkansas. Gene and Claudine traveled this area for more than 15 years working for companies such as OneOK, KinderMorgan, Atlus, Southern Star, and Eagle Rock. Gene loved the adventure of traveling and having his wife by his side. Gene is preceded in death by his parents and one sister, Christy Whitchurch. Gene is survived by his wife Claudine; daughters, Glenna Moak and husband Tom, Austin, Texas, Vicki Cook and husband, Ron, Perry, and Lucia VanBebber, Medellin, Columbia. His grandchildren are Alicia Miller Patterson, Perry, Graham Moak, Fort Worth, Texas, Gavin Moak, Austin, Texas, Eric and Brandi Cook, Broken Arrow, Oklahoma, Ashley Cook, Perry. Great grandchildren are Wyatt Farthing, Perry, Savannah Moak, Ft Worth, Texas and Rhett Cook, Broken Arrow, Oklahoma. A memorial service will be held at the First Christian church in Perry, Oklahoma on Friday, March 30th at 10:30 a.m.